You might not think a research area as detailed, technically advanced and futuristic as building robots with living materials would need help getting organized, but that's precisely what Vickie Webster-Wood and a team from the mechanical engineering and biology departments at Case Western Reserve University is trying to do. "This is a very young field, really—the merging of the two fields of tissue engineering and robotics—and right now, there is no consistency in the vocabulary and really no universal lexicon," said Webster-Wood. She is the lead author of a new paper in the journal Science Robotics that she hopes will provide a foundation that pushes the field forward. "There has been, over the last decade, an increase in developments of tissue engineering, in the ability to fabricate different things out of living materials," Webster-Wood said. "And while there has been parallel acceleration in robotics, researchers from these two fields tend to use different vocabularies." That means it is imperative to build an agreed-upon lexicon and taxonomy, Webster-Wood said. That's the best way the still-nascent field can unify and work effectively toward creating the first fully functional organic robot, something she still expects to see in the next 30 or 40 years. "That's my goal and, hopefully, I'll even be the one to create it," she said. "But there are a lot of steps yet to be taken to get there, and this is a big one." 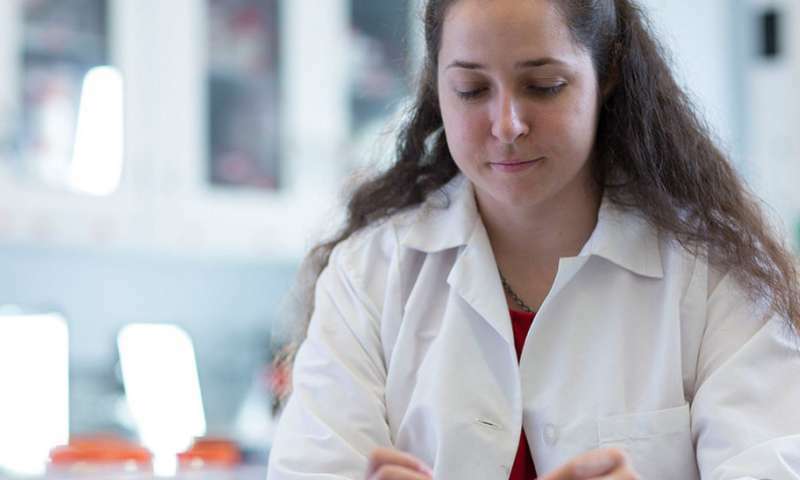 The paper, written with four other authors, dubs the emerging field "organismal engineering." Webster-Wood, a post-doctorate researcher in the Case Western Reserve Department of Mechanical and Aerospace Engineering, had what any engineer would consider a breakout year in 2016 when she told the world about her small, swimming biohybrid robots. 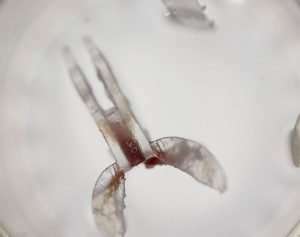 The tissue-robot hybrids were constructed from sea-slug muscle tissue attached to a 3-D-printed polymer, placed in a sugar-water solution, and then activated by an electrical pulse and controlled by the researcher. They were small and slow, but they played big—gaining credibility for Webster-Wood as an expert in the emerging field, garnering significant attention from other scientists and media, and illustrating a vital first step in combining living matter with robotics for both actuation and control. The interest continued through this year, most recently on a segment of the program "Nature Knows Best," where Webster-Wood had a chance to show off the little swimmers again. They also provoked Webster-Wood to more concretely evaluate the messy space shared by the two disciplines. So now, even while she and other researchers around the world continue to pursue flashier improvements, she and her co-authors are offering an organizational key for describing biohybrid and organic robots built around the four fundamental components of robotics. Controller—the computer in a traditional robot; possibly neurons or clusters of neurons in a biohybrid robot or living creature. The paper also sets up the first organized compendium of terms to describe biohybrid and organic robots and discusses many of the key papers published on such devices to date. "To our knowledge, this is the first time an article has been published that looks at organic materials being used for all four of these components and how that could lead to completely organic robots," she said. "It's not as sensational as sea slugs, but we think it will be just as important."